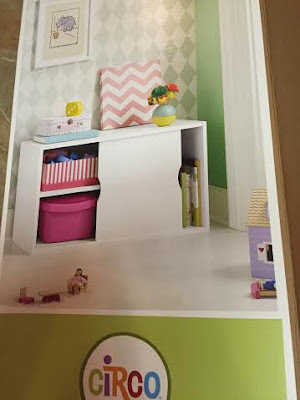 Those are the colors my daughter seems to be choosing while we are working on her bedroom makeover. We are taking things slowly, because I have about five projects going on right now. 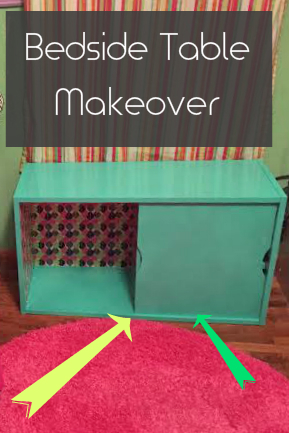 Who doesn't like to have their plate full of several DIY improvements at once? 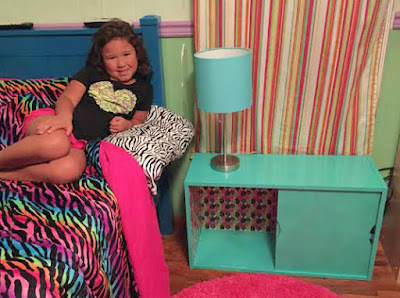 My daughter used to just have an old little end table beside her bed. On it was a nasty old lamp I tried to salvage at once point (pictures are definitely not needed). By the time she added the remote control to the table there was no room for anything else on it. While on a shopping trip to Target one night (the night I found some great new bedding for $23) I ran across this cute little cabinet and knew it would fit the space next to Sophia's bed just perfectly. 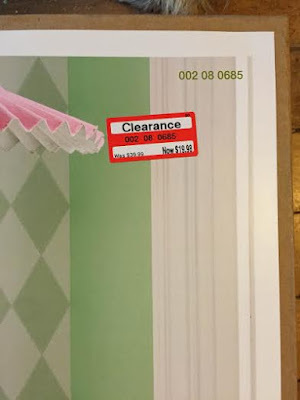 It was also on clearance!! I mean, seriously...Target has some amazing deals and you just have to hunt for them sometimes. I found this in a makeshift clearance shelf back in the end-of-season gardening department. So I got it home and put it together. "Mama, it is boring white. Can we paint it?" Sophia asked me. "Well, yes. Yes, of course we can." 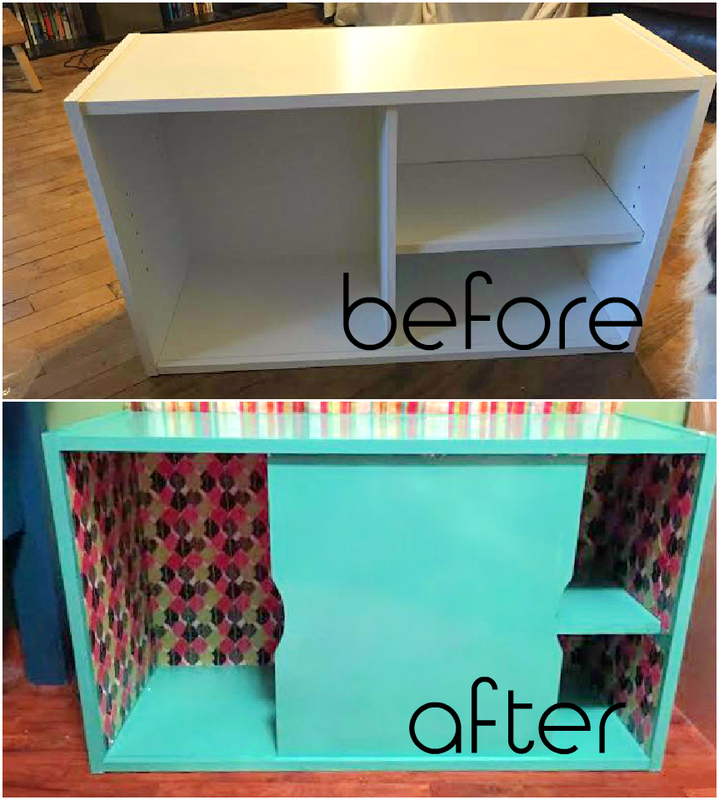 I said, proud that she wanted to do a makeover on a perfectly fine $20 cabinet we just bought. We then hopped in the good ol' van and ventured out to Walmart to examine the spray paint colors. She zeroed in on a pretty aqua color immediately, so that's what we bought. I already got rid of the can, but it was Krylon and I don't remember the name of the color, but it is bright and really pretty. I set to work spray painting it. 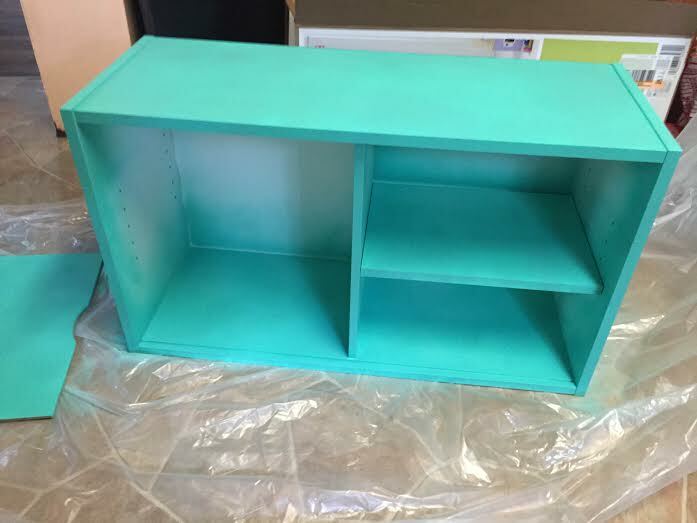 After I spray painted it and let it dry thoroughly after two coats, I used some polyacrylic to seal it. 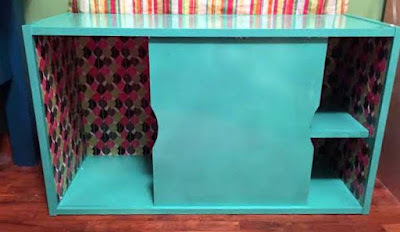 I painted on two coats of the poly and let it cure overnight before adding the contact paper that I also picked up at Target (they have seriously cute designs) into the back and insides of the little cabinet. I then added a bit of the polyacrylic to the edges of the contact paper to seal it in place and to prevent it from peeling off in the future. 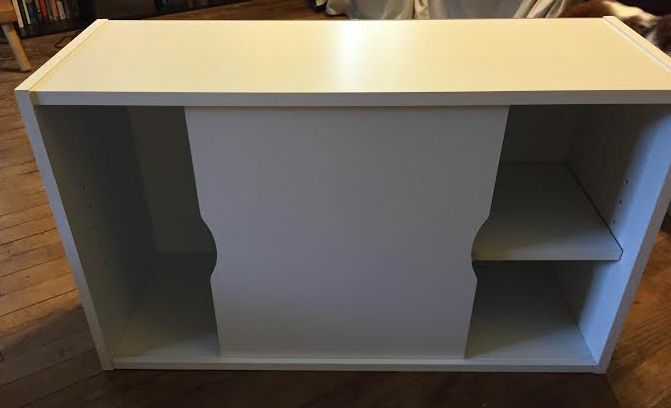 How much did this little bedside table cost? It turned out totally cute and fits in with the "big girl" aka tweenish bedroom we are slowly renovating into. The cute lamp was also an upgrade from the previous (back to school time is the best time pick these up) this one was $15 and it is almost the same color as the spray paint she chose. She is definitely into these bright and bold blues!